Controller för DAW-program, med inbyggt ljudkort och fina micpreamps. Nucleus re-defines the professional project studio with a perfect blend of advanced DAW control, transparent SuperAnalogue monitoring, high class analogue mic pres, pro quality USB audio interface and bundled SSL Duende Native plug-ins. 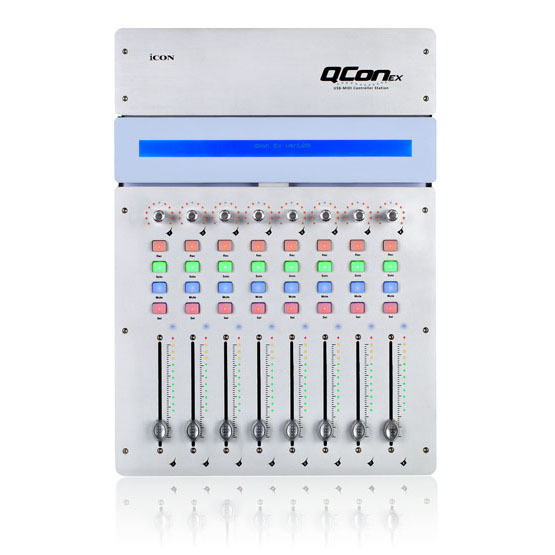 There is no other product available which offers the professional producer/engineer all these elements, with benchmark audio performance and elegant ergonomics. Not only is it unique but Nucleus is also outstanding value; these elements bought separately would cost more and deliver a less elegant solution. Nucleus DAW Control is based on the concepts developed for the SSL Matrix. Up to 3 different DAWs can be connected simultaneously and you can switch between them with a single button push. Nucleus uses either HUI or MCU protocols ensuring compatibility with all leading DAW applications including Pro Tools, Logic and Cubase/Nuendo and can transmit MIDI CC data. 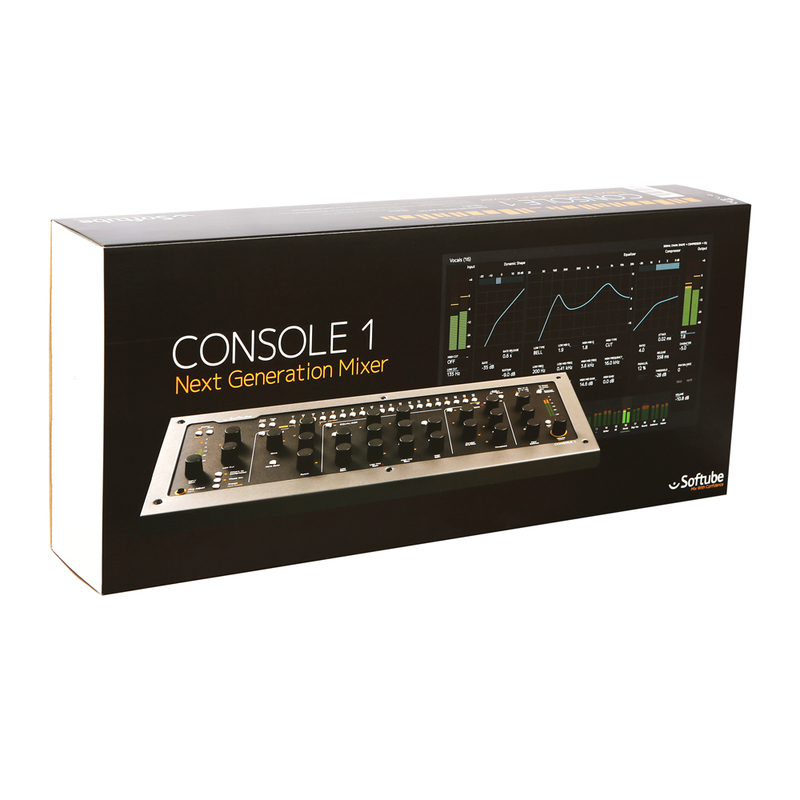 Nucleus provides a complete set of dedicated and assignable hardware controls that is easily customised to suit individual user preferences, for all major DAW and plug-in parameters. 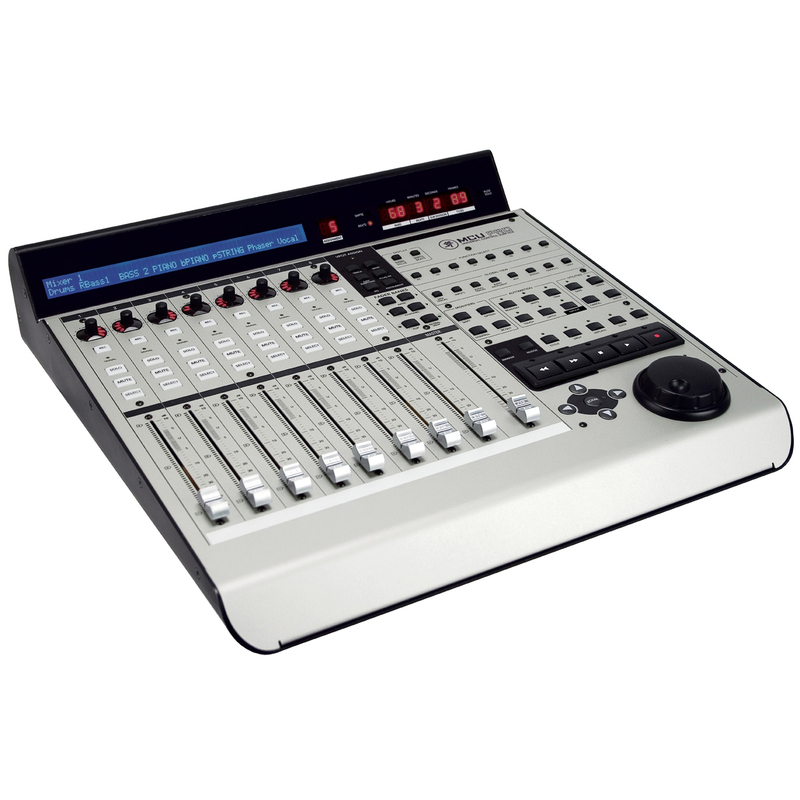 Two banks of eight channels each provide; 100mm motorised Faders, fully user definable soft keys and V-Pots, dedicated Select/Solo/Cut buttons and 10 point channel level meters. 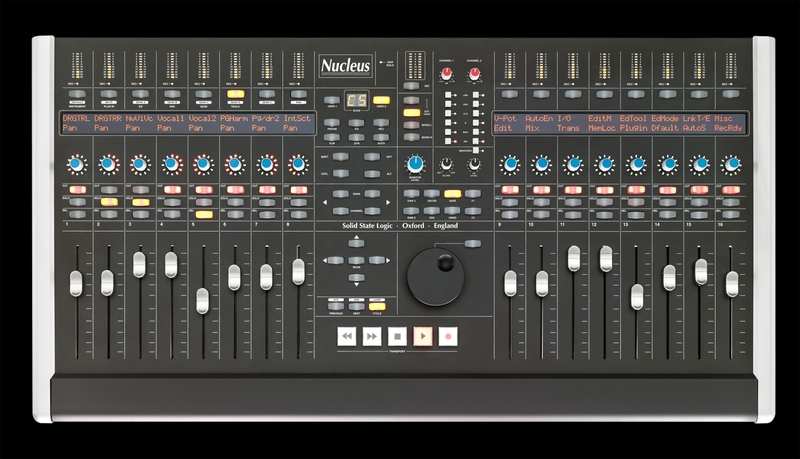 The Nucleus centre section DAW controls provide; large heavy duty transport buttons, a high quality jog/shuttle wheel, bank/channel/ layer selection & navigation/global DAW parameter selection and additional USB keyboard emulation buttons. 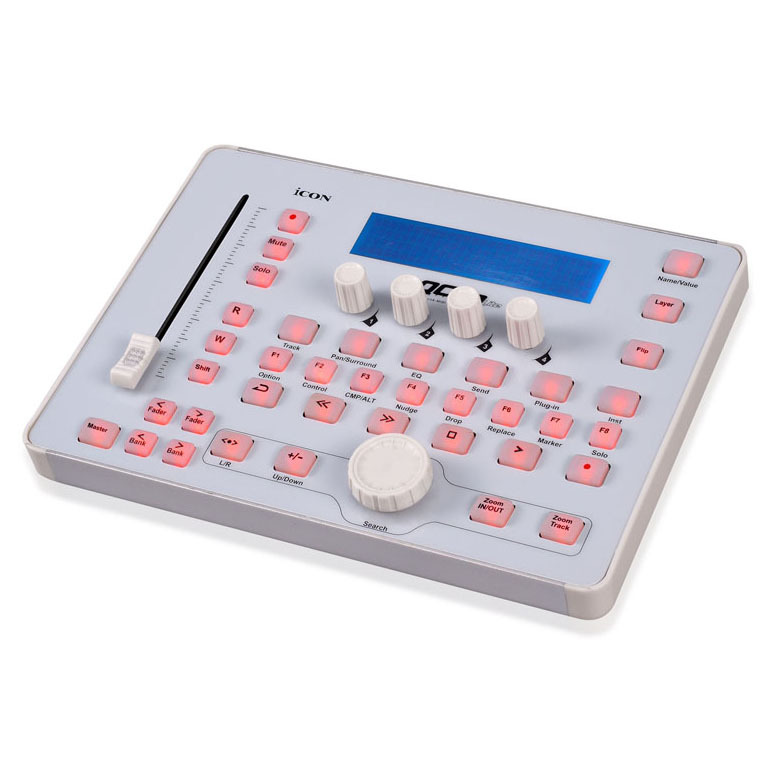 Bright LCD Digital Scribble Strips, DAW audio level meters, self illuminating buttons and LED status indicators ensure excellent visual feedback even in low light conditions. System configuration is via a remote SSL Logictivity browser, which allows differing control profile sets to be stored and recalled. It is here that the user defines exactly how the Nucleus behaves. Nucleus offers a unique combination of audio capabilities. At its foundation is a SSL SuperAnalogue signal path providing benchmark audio quality monitor output to separate +4dBu & -10dBV connections. A high quality 2+2 Ch USB audio interface provides a record and playback path for your DAW. 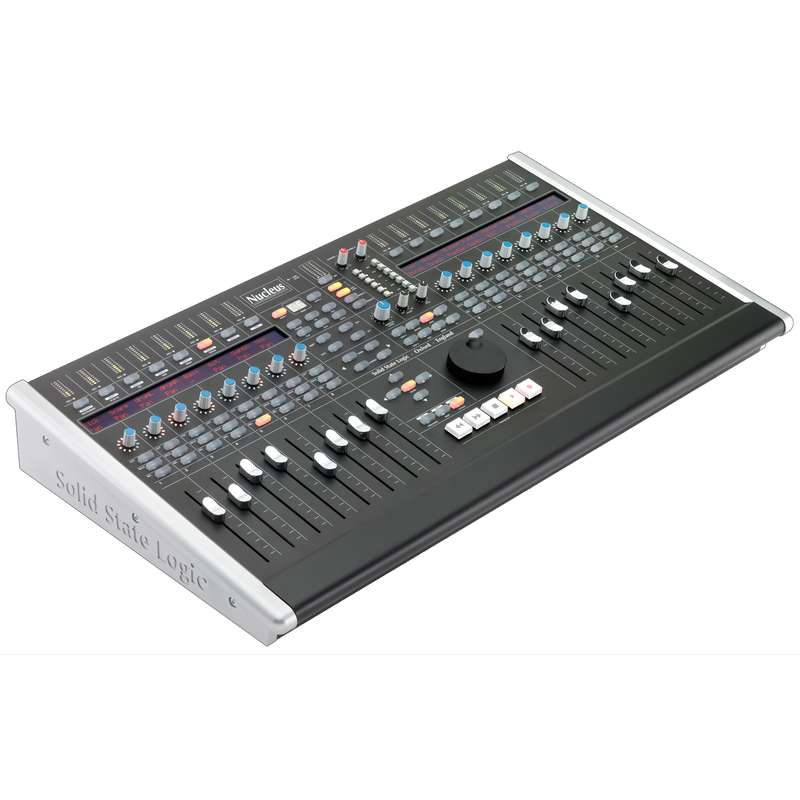 Two Combi XLR mic/line/instrument level inputs can feed the audio interface and the monitor outputs simultaneously. Digital I/O via S/PDIF feeds the AD/DA of the audio interface (pre insert) enabling both a digital to DAW record path and a mic/line/instrument to digital output path. The Digital input can use Ch 3&4 of the audio interface so can be recorded to separate channels in your DAW in parallel to the incoming analogue mic/line/instrument inputs. 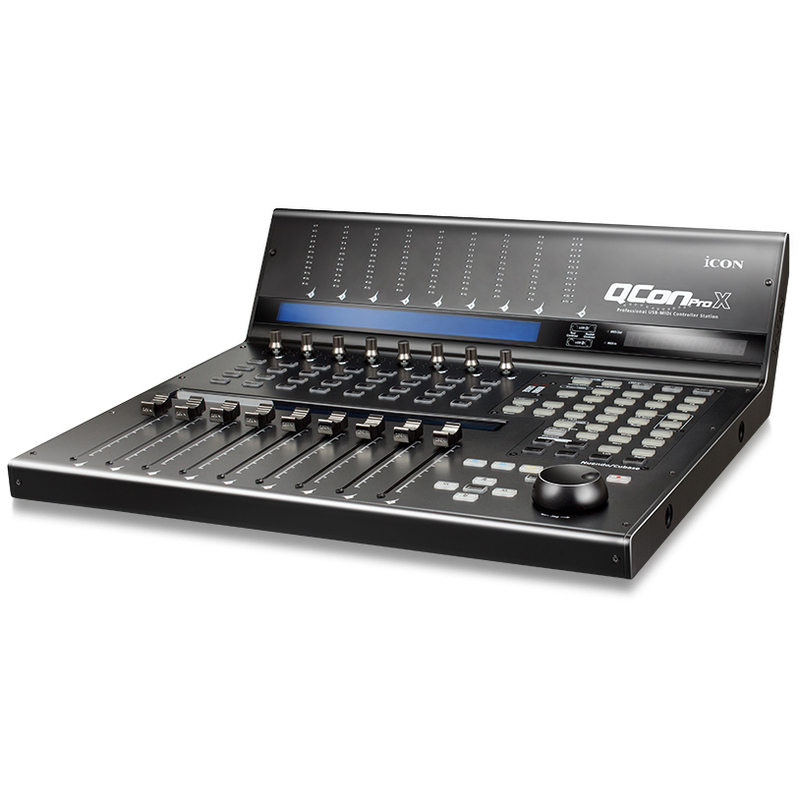 A wet/dry control enables balancing of analogue (and digital) input and DAW playback for zero latency record monitoring. The Nucleus mic pres are SSL SuperAnalogue Mic Pres, identical to those used on SSL Duality and AWS consoles and our X-Rack system giving Nucleus a professional standard transparent mic record path. The mic inputs have 80Hz High Pass Filters, Phase Reverse and Phantom Power. A pair of insert send/return connections for incorporation of processing or effects default to the mic/line/instrument inputs but can be moved across to DAW playback for mixdown. An additional external stereo analogue input provides a transparent SuperAnalogue monitor path for another audio interface, or any other analogue device. There is an accurate analogue output level meter. A stereo minijack connection makes monitoring from an iPod or any other portable audio device straightforward. Two headphone outputs complete the monitoring options. Nucleus connects to your computer via high speed Ethernet for DAW control. It also features a USB connection and appears to your host computer as a standard keyboard enabling key command emulation. There are four USB ports on the back which operate as a USB hub. A standard jack footswitch connection is also included and there is also an SD card slot for Profile storage. Configuration and mapping of Key commands and DAW Commands is via a remote SSL Logicitivity browser, which allows differing control profile sets to be stored and recalled.